Asma is a paralegal working in the commercial litigation department. 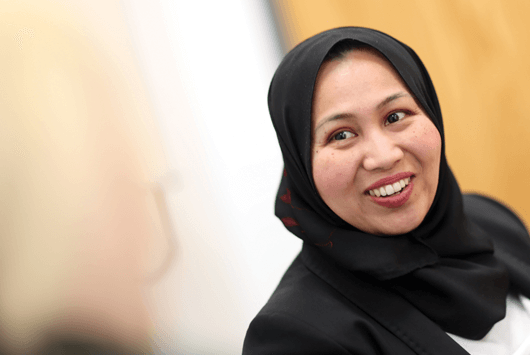 Asma’s previous experience includes 6 years of commercial litigation experience as a solicitor in Kuala Lumpur, Malaysia. Asma has handled varied case load of commercial disputes varying in size and complexity involving wide range of clients, from small businesses to large companies and public sector organisations. She has worked on a range of commercial disputes, including breach of contract claims in a cross-section of industries, banking and financing disputes, high-value commercial tenancy claims, shares sale disputes, defamation, matters involving breach of fiduciary duties, misrepresentation and civil fraud. Asma is also now in the course of dual-qualifying as a solicitor of England and Wales.